The Einstein-Szilard letter to President Roosevelt changed the course of history by prompting American government involvement in nuclear research. The letter led to the establishment of the Manhattan Project. By the summer of 1945, the United States had built the world’s first atomic bomb. As Szilard remembered, their primary concern was “what would happen if the Germans got hold of large quantities of the uranium which the Belgians were mining in the Congo. So we began to think, through what channels could we approach the Belgian government and warn them against selling any uranium to Germany?” (Rhodes 303). The scientists decided that Albert Einstein, who personally knew the Queen of Belgium, would be the ideal person to send warning of the German threat. Szilard and Wigner met Einstein in early July in a cabin in Long Island, NY, where Einstein was on vacation. While Einstein was unwilling to directly contact the queen, he agreed to write a letter to the Ambassador of Belgium, and dictated a first draft to Wigner. Soon after, Szilard also spoke with Alexander Sachs, an economist and a close friend of President Franklin Delano Roosevelt. Sachs recommended that they also write to FDR, promising “that if we gave him a statement he would make sure it reached Roosevelt in person” (306). Using Einstein’s draft to the Belgian Ambassador, Szilard began crafting a letter to the president. On July 30, he again met with Einstein in his Long Island cabin along with Edward Teller (“I entered history as Szilard’s chauffeur,” quipped Teller). They decided that Sachs could serve as the middleman to deliver the letter to FDR, and sent him a final draft on August 15. As Sachs explained, “I was the right person to make the relevant elaborate scientific material intelligible to Mr. Roosevelt. No scientist could sell it to him” (313). To read the letter, click here. Sachs was adamant that he should deliver the letter to President Roosevelt in person and that he should actually read it aloud to him. Sachs noted, “Our social system is such that any public figure [is] punch-drunk with printer’s ink…This was a matter that the Commander in Chief and the head of the Nation must know. I could only do it if I could see him for a long stretch and read the material so itcame in by way of the ear and not as a soft mascara on the eye” (309). Nevertheless, the outbreak of World War II made it impossible for Sachs to secure a meeting with the president in August or September. Szilard grew increasingly impatient and even considered finding a different messenger, but on October 11, 1939, Sachs finally met with President Roosevelt to deliver the letter. Rather than presenting the letter, Sachs instead put forward his own summary of its conclusions. In an effort to balance what he later called the “two poles of good and evil,” Sachs first explained the peaceful prospects of atomic energy such as nuclear power and medicine before turning his attention to “bombs of hitherto unenvisaged potency of scope” (313). Sachs concluded by noting, “Personally I think there is no doubt that sub-atomic energy is available all around us, and that one day man will release and control its almost infinite power. We cannot prevent him from doing so and can only hope that he will not use it exclusively in blowing up his next door neighbor” (314). While other efforts were made to push the U.S. government into atomic research, such as the British MAUD Committee Report, there is no doubt that the Einstein-Szilard letter was vital. 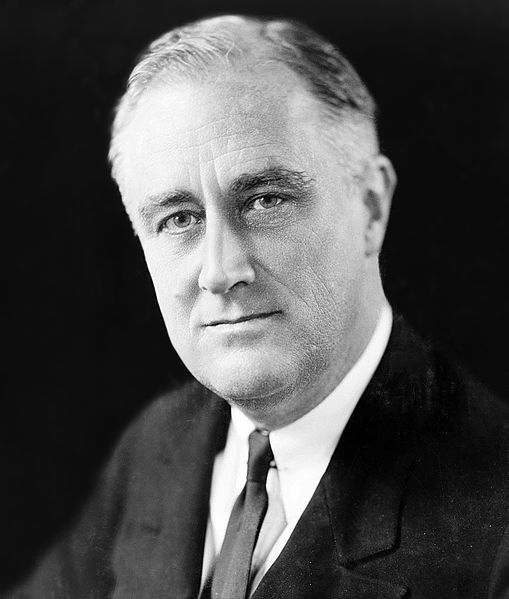 President Roosevelt quickly established an advisory Uranium Committee, and the establishment of the S-1 Committee in 1941 marked an official shift from the research to the development phase of the project. Although the letter was largely the result of Szilard’s fears of a German atomic bomb, the German nuclear program, which had little governmental support, never came remotely close to developing one. By 1945, Szilard instead feared the use of an American bomb. During the months before the Trinity test in July, Szilard drafted a petition among the Manhattan Project scientists in an attempt to avert wartime use of the bomb against Japan. 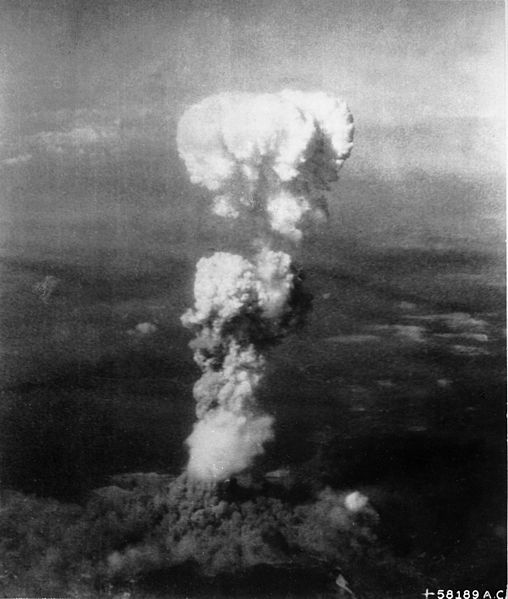 Nevertheless, it was never seen by President Truman or Secretary of War Henry L. Stimson before the first atomic bomb was dropped on Hiroshima. 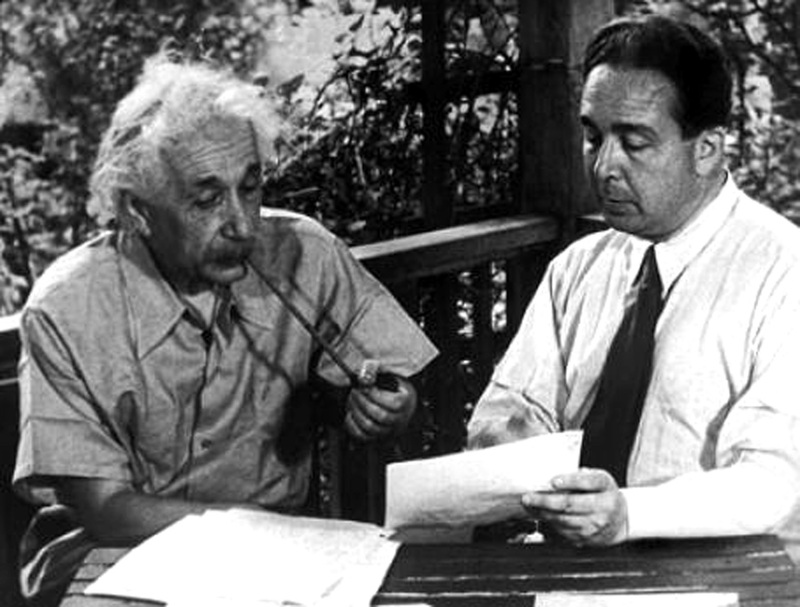 The Einstein-Szilard letter remains one of the most iconic documents in American history. In January 2017, Warren Buffett told students at Columbia University, "If you think about it, we are sitting here, in part, because of two Jewish immigrants who in 1939 in August signed the most important letter perhaps in the history of the United States." Rhodes, Richard. The Making of the Atomic Bomb. New York, NY: Simon & Schuster, 1986.